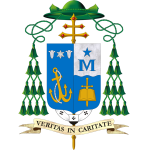 As a follow up to an earlier entry on this blog, I would like to give a brief response of thanks to those who completed the survey in preparation for the Extraordinary Synod on the Family in October of 2014. Again, the bishops of the world were asked for their input and personal responses to the survey questions. At the same time, we were requested to make a broad consultation as a part of our response to the survey. Between those who completed the online survey and those who completed a hard-copy, we received well over 900 responses. I am very pleased with such a response. Because the results are confidential, and the property of the Synod of Bishops in Rome, I will be unable to share with you a summary of the findings. I can tell you that the results were not too far different than what I or our Director of Family Life would have guessed. The People of God were / are pleased to have a voice in a critical Synod of Bishops on such a timely topic as the Family. Reading the written comments gives me as a bishop some deep insights regarding thoughts and feelings of members of the Church. These will be of great benefit, not only in shaping the working documents for the Synod, but also for our efforts in this diocese to meet the pastoral needs of our people. The personal pain and frustration expressed by a sizeable portion of respondents further focuses my own awareness for giving guidance to our priests, deacons and pastoral leaders, and primarily for myself. We as Church have some significant challenges ahead, and such consultation as this survey helps us to better know and define them that we may better meet them. I’ll close by simply expressing my gratitude to all who took the time to complete this survey. I assure you that I am and will spend time with the vast amount of information shared with me, thus giving you the respect deserved of such personal sharing of your faith-journey. Finally, I pledge to continue to do my very best to journey with this local church, respecting each individual as we seek Christ and His truth together. next post Let The LORD Enter, The King of Glory!